The presence of patrol cars in neighborhoods where police live have surely lessened crime, at least in those neighborhoods. If not, they’ve probably made the neighbors more likely to report local crime to someone they know on the block. Many consider the practice a perk, a privilege of rank, but the flip side is designated first responders can quickly be on site when needed in a fully official capacity – for these officers, the car is necessary to performing their larger role. The article cites a recent incident in which a gas explosion impacted some 80 homes in an Indianapolis subdivision last month, and the quick response of a number of off-duty police to the crisis. "A lot of those officers came and got there so quickly because they had take-home cars," Bill Owensby, of the local chapter of the Fraternal Order of Police, told USA Today. 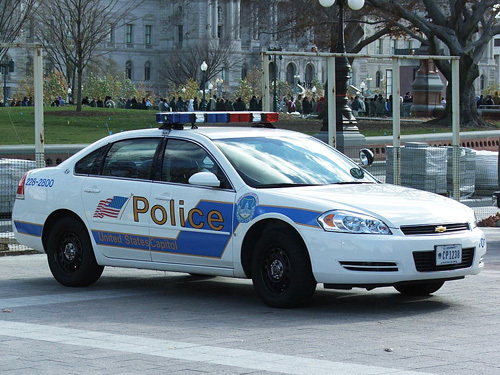 In 2013, despite the operational readiness such vehicles provide, Indianapolis police will be required to pay a fee for off-duty use and maintenances expenses on their patrol cars. This is a process repeated across the country as cash-strapped states and municipalities look for ways to make ends meet. Evans and Touhy talked with Darrel Stephens, executive director of the Major Cities Chiefs Association, representing 63 of the largest law enforcement agencies in the US. He told them cost-sharing policies or other restrictions on take-home cars have recently been considered by many larger police departments. "Departments, because of fiscal constraints, are being asked to curtail the use of take-home vehicles, or are taking them away from some officers or charging fees and setting limits on off-duty use," according to James Pasco, director of the National Fraternal Order of Police, the nation's largest police labor organization. Pasco understands the motivation of such debates, but believes a narrow focus on budgeting overlooks certain intangible benefits of personal police vehicles. Pasco points to the ability to quickly respond even when off duty, and the deterrent of more patrol vehicles in a community. In North Miami Beach FL, 100 local police have had personal use of patrol cars taken away – they use them at work and then park them in a garage at the end of their shift. So if the police have to drive their own cars to work, where do they park them? We hope it’s not in a lot where the city takes more of their money for a parking space! If we expect police to treat us fairly as they seek to protect and serve, shouldn’t we do the same for them? In some cities, police officers retain the personal use of the patrol car, but pay a fee for the additional usage, which brings up an interesting question. How can a police officer, driving a patrol car for personal use, really be off duty? It’s not like they have a light indicating whether they are officially engaged or not like a taxi! The point is when they drive a police car they are on duty – as far as everyone else is concerned – but they may not be getting paid for it. Louisville KY requires three years service before providing a personal police vehicle, Chief Steve Conrad told the national daily. That policy took effect last November and additionally charges officers a gasoline surcharge for using the vehicle on another job. Madison IN is trying out allowing the emergency response team take-home vehicles while denying them to the other members of the department. According to Police Chief Dan Thurston, this resulted from the department buying used police cars rather than new ones, boosting numbers to where six officers could take cars home. This allows these officers to be on call 24/7, but the Chief hopes the cars also reduce crime. "We haven't done this long enough to have any data to prove that and it is a hard thing to quantify because you never really know what crimes might have been prevented by an off-duty officer stopping at a convenience store or parking a car in their driveway,” he concluded. The bottom line is we pay sports heroes ridiculous sums to fulfill our vicarious lives, but those whose work is so important – like police and teachers – are seldom appreciated and usually underpaid. Neither has an easy job and both need our help and support. The legislators should give that a lot more thought before taking personal police cars away. Image source: U.S. Capitol police car in the streets of Washington D.C. 22 November 2008 by Krokodyl licensed under the Creative Commons Attribution-Share Alike 3.0 Unported license.